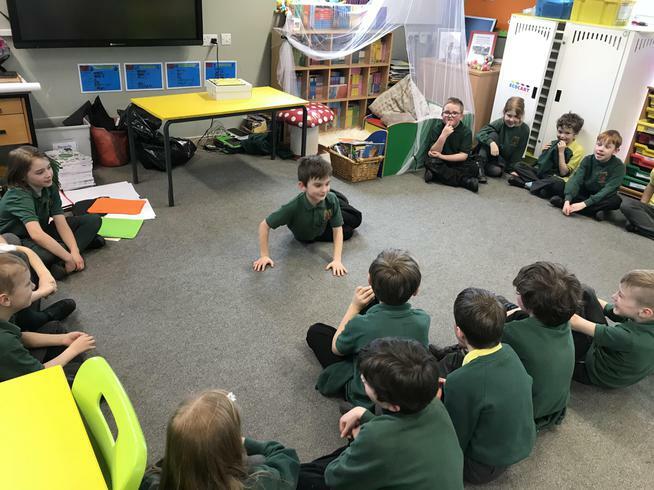 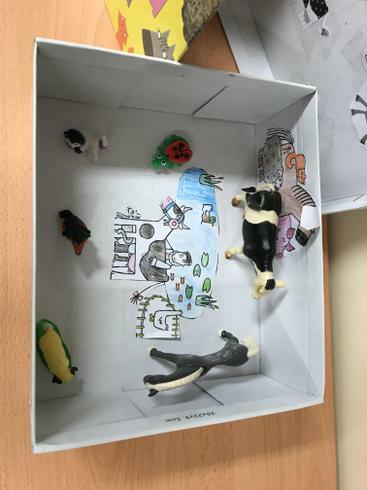 Our classroom became a farmyard at one point during Yanic's book in a box; we had noises from all sorts of animals: quacking, neighing, snorting .....some unrecognisable! 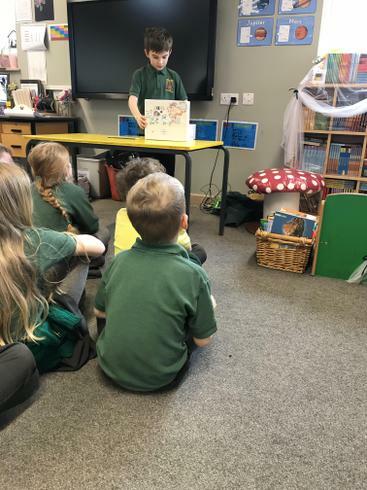 Yanic chose the book 'What the Ladybird Heard' by Julia Donaldson for his presentation. 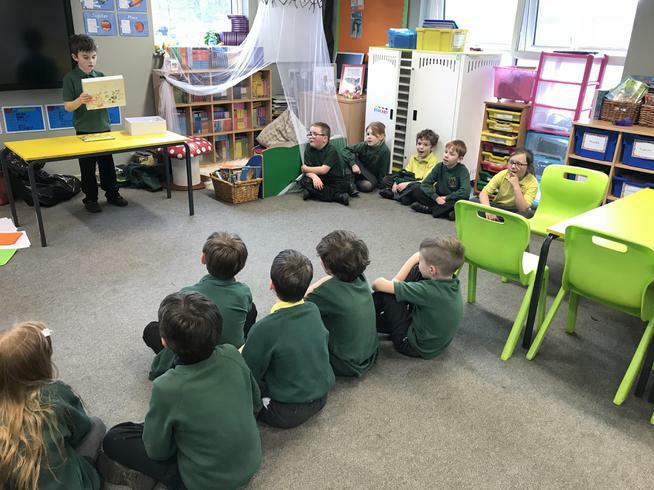 It was clear many of the class knew the story and were mouthing the words along with Yanic as he was reading. 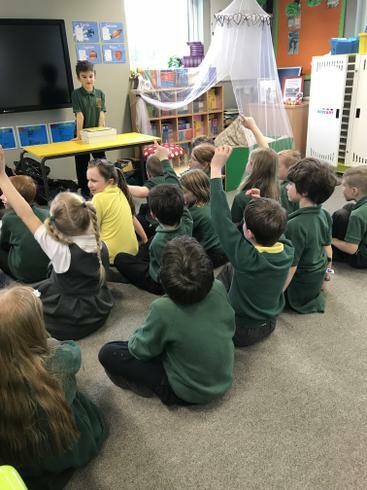 Yanic presented the book very well; reading clearly and with good fluency to the class. 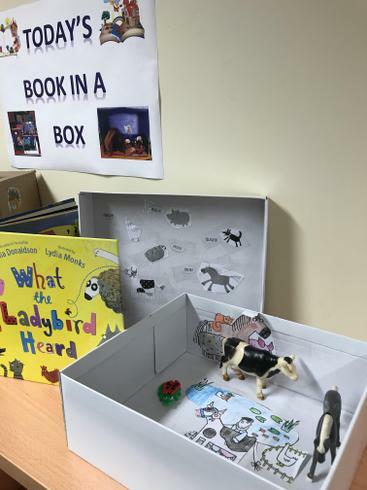 An enthusiastic and enjoyable book in a box Yanic - well done!